The Royal Society of Chemistry has named Xiao Cheng Zeng the 2017 recipient of its Surfaces and Interfaces Award. The annual award honors outstanding and innovative research on the behavior of chemical systems at surfaces or interfaces. Zeng, Chancellor’s University Professor of Chemistry at the University of Nebraska-Lincoln, is the first winner from a university outside of Europe. Zeng will receive a medal, certificate and a £2,000 award stipend, or approximately $2,600. 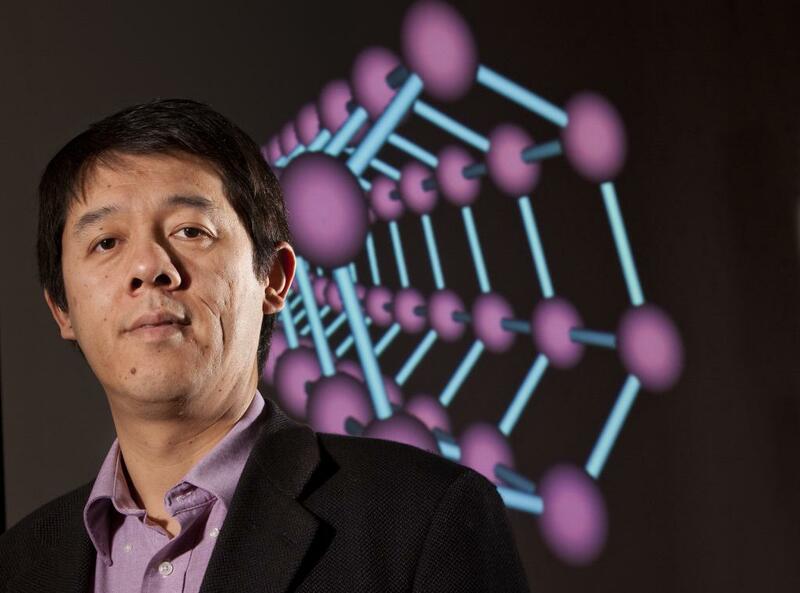 Zeng’s research interests are computational chemistry, materials chemistry and nanoscience. He uses supercomputers to carry out virtual experiments that predict the behavior of materials under extreme conditions. Many of his findings are later confirmed in the laboratory. His team made the groundbreaking discovery that hollow, cage-like structures, or “buckyballs,” make up the atomic structure of gold, which could have medial and diagnostic applications. He also uncovered the “Nebraska Ice” phenomenon, the discovery that water contracts rather than expands when frozen at extremes of subnanoscale confinement. The Royal Society of Chemistry, one of the oldest scientific societies in the world, is Europe’s largest organization dedicated to advancing the chemical sciences. It sponsors more than 80 prizes and awards that honor researchers for the originality, impact and quality of their work, and their ability to engage in collaboration across the chemical sciences. Fifty previous winners of Royal Society of Chemistry awards have gone on to receive Nobel Prizes for their work, including 2016’s Nobel Prize winners Jean-Pierre Sauvage, Fraser Stoddart and Ben Feringa.